Cables to make needle lengths of 60cm, 80cm (x 2) & 100cm. Accessories: 8 end caps, 4 cable caps and 1 cable connector. All in a handy fabric zipped pouch. 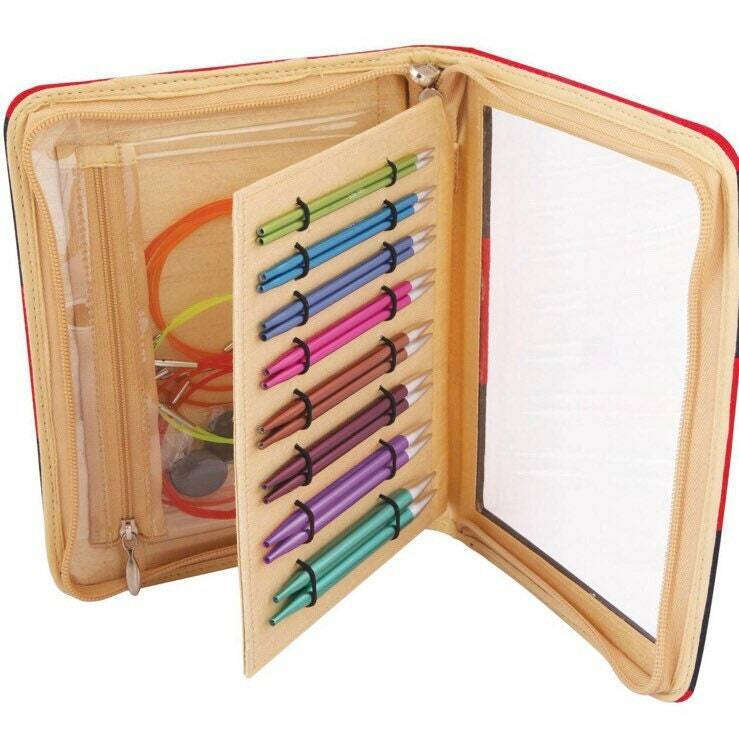 These needles are made from superior grade lightweight metal and are colour co-ordinated by size. The shiny silver tips are super smooth and tapered, making knitting with these a delight. They are really smooth to work with so stitches glide around the needles. The tightening key makes sure the tips don’t unscrew as you knit.